Google unintentionally divulge features on Android P that are similar to the motion and interface features on iPhone X.
Google is testing the Android P navigation bar, unintentionally uploading on the developer's blog and immediately deleting it, launching The Verge page. 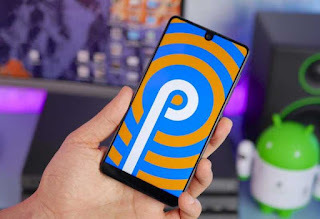 The navigation bar on Android P is different from the previous version, no longer the multitasking button and the center of the home button is minimized, shaped like a pill. The navigation was reported to resemble the iPhone X, which features a sliding feature to open the multitasking interface. However, this navigation bar is still in the testing phase, Google may not necessarily realize it as it happens several times. One advantage of having a sliding feature is that Android phone manufacturers will more easily create screens without bezel. Google will support notch screens such as iPhone X and Essential Phone on Android P.
0 Response to "Wow, Android P Will Have Features Like iPhone X"